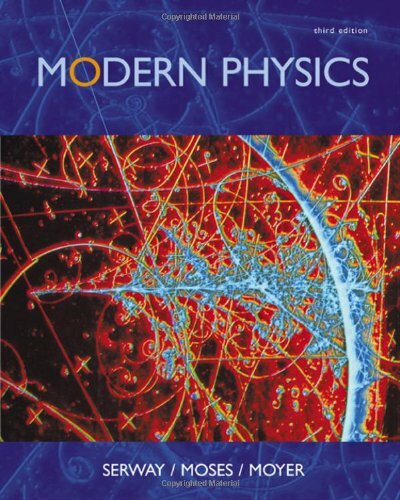 Accessible and flexible, MODERN PHYSICS, Third Edition has been specifically designed to provide simple, clear, and mathematically uncomplicated explanations of physical concepts and theories of modern physics. The authors clarify and show support for these theories through a broad range of current applications and examples-attempting to answer questions such as: What holds molecules together? How do electrons tunnel through barriers? How do electrons move through solids? How can currents persist indefinitely in superconductors? To pique student interest, brief sketches of the historical development of twentieth-century physics such as anecdotes and quotations from key figures as well as interesting photographs of noted scientists and original apparatus are integrated throughout. The Third Edition has been extensively revised to clarify difficult concepts and thoroughly updated to include rapidly developing technical applications in quantum physics. To complement the analytical solutions in the text and to help students visualize abstract concepts, the new edition also features free online access to QMTools, new platform-independent simulation software created by co-author, Curt Moyer, and developed with support from the National Science Foundation. Icons in the text indicate the problems designed for use with the software.